In the firing position of the Soviet 203 mm howitzer B-4. 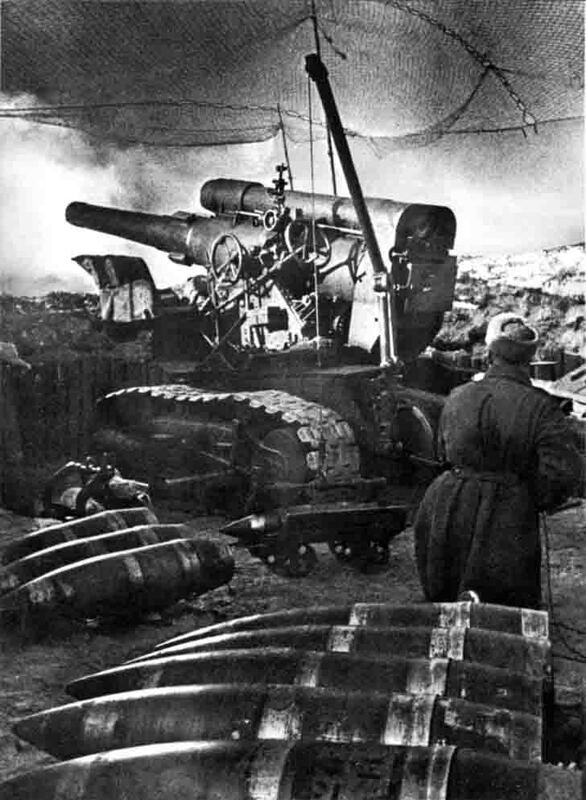 B-4 – Soviet howitzer large capacity caliber 203 mm (8 inches). Full official name of the gun – 203 mm howitzer of model 1931. During the Soviet-Finnish war howitzer B-4 was used to destroy bunkers of the Mannerheim Line. It is a tool to actively and successfully used in World War II, especially in the assault fortified German defense lines. Weight explosive projectile howitzer B-4 – 100 kg, range of shooting – 18 km. Total production howitzer B-4 was 871 units.